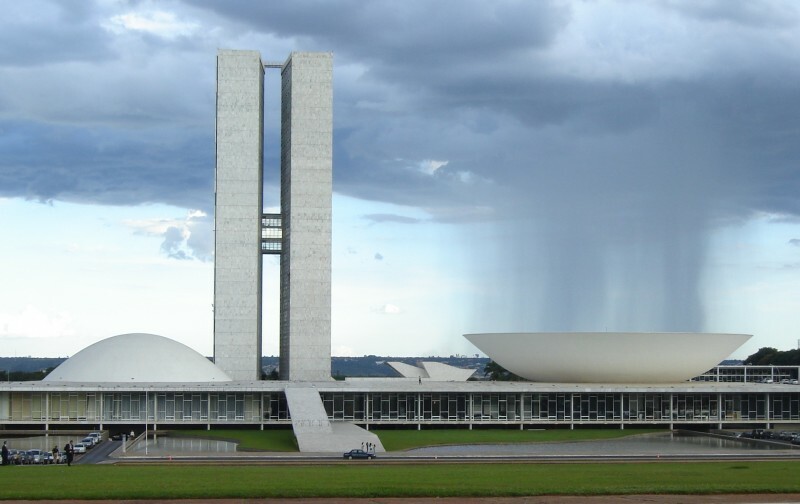 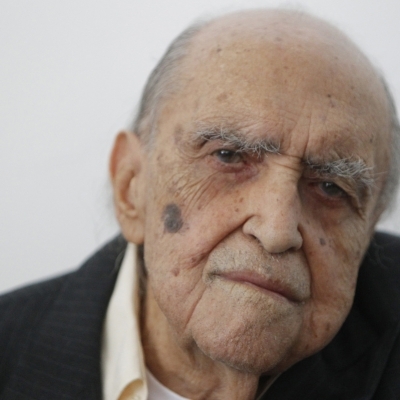 Oscar Niemeyer, the renowned Brazilian architect, has died. 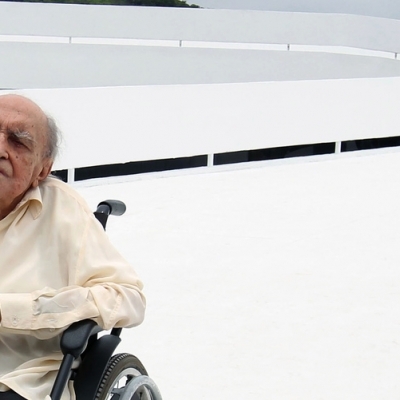 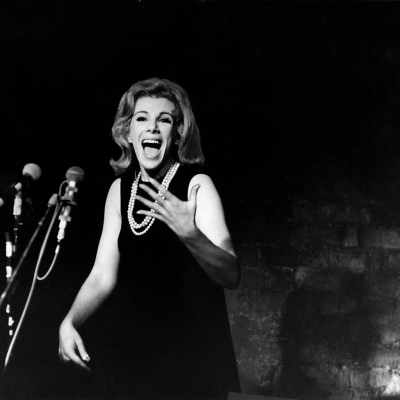 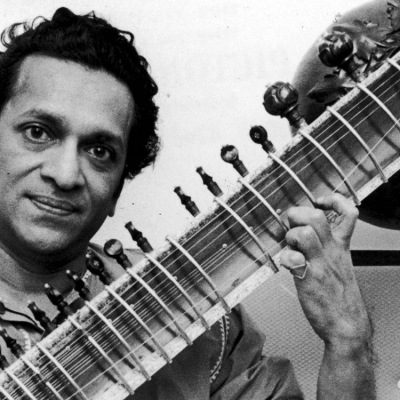 The master architect had been hospitalized several times, initially on October 17th, at Samaritan’s Hospital of Rio de Janeiro. 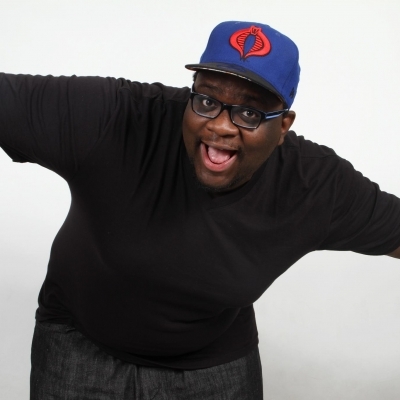 Several weeks later, he returned to the hospital on November 7th, for symptoms of dehydration. 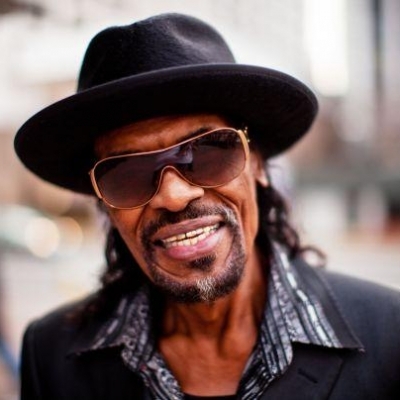 After recovering from this bout of dehydration, illness returned as he experienced renal complications and was admitted once again on November 20th, where his health made a sudden turn for the worse. 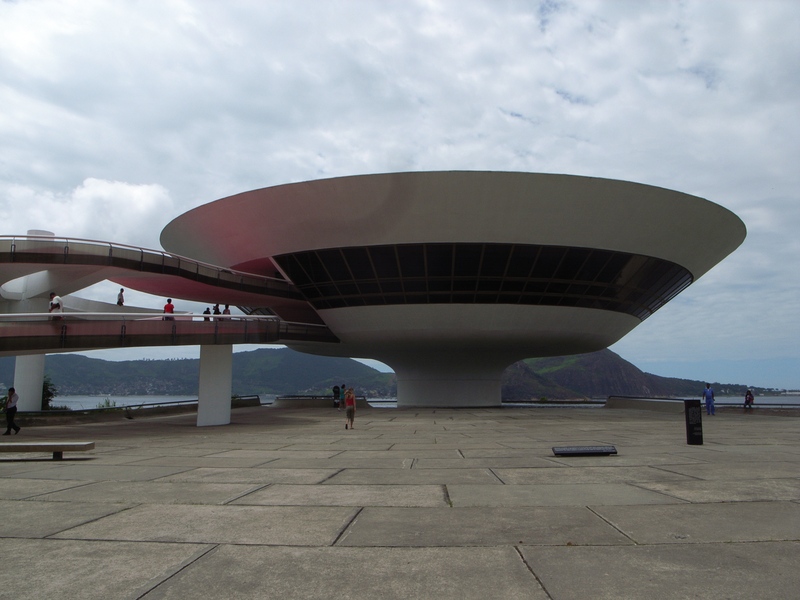 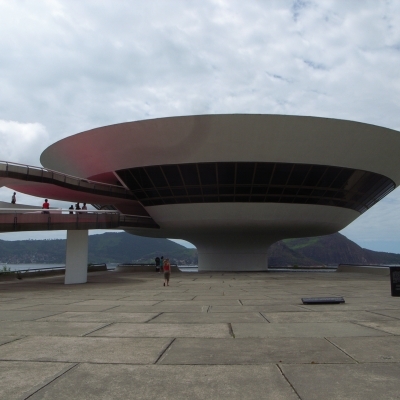 Niemeyer was, amazingly, 104 years old at this time. 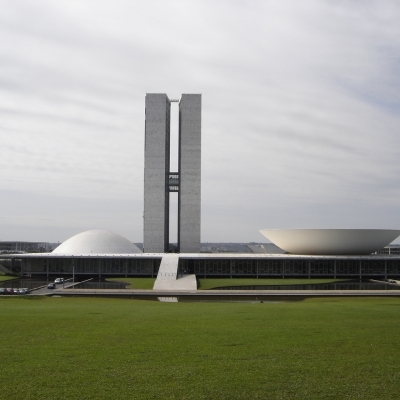 The historic and groundbreaking architect would have turned 105 years old, ten days from today, on December 15th, of this year. 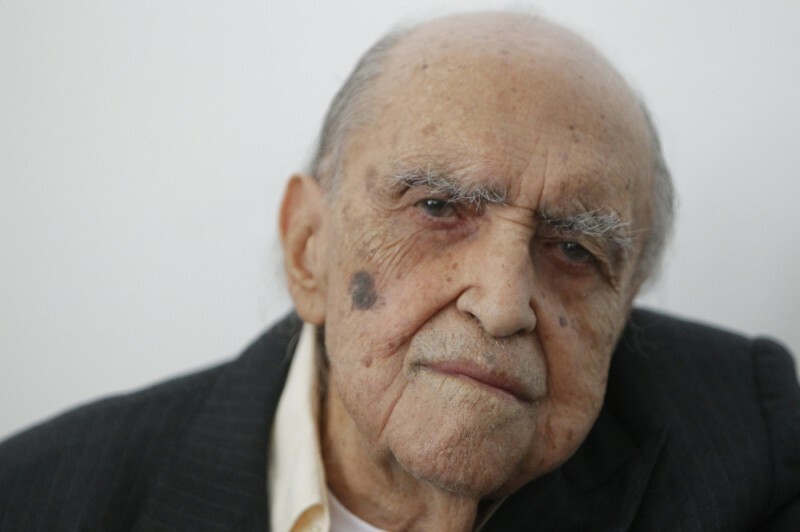 Oscar Ribeiro de Almeida Niemeyer Soares Filho primarily focused on international modernism and was famous for, literally, breaking the mold. 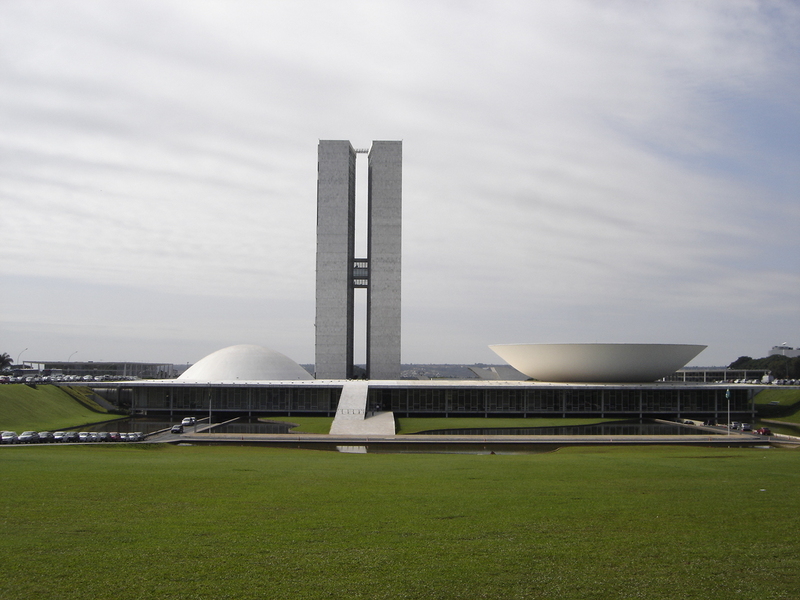 He did the impossible with stiff and rigid building materials, shunning the steel, boxy, hard-edged structures by his modernist colleagues. 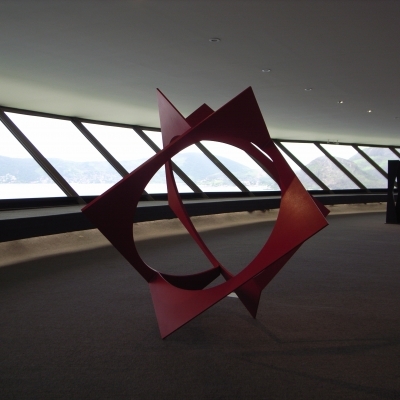 Instead of designing and building traditional rectilinear boxes with an uncompromising materials such as concrete and steel, he managed to create seductive, sensual forms which were curvaceous and flowing. 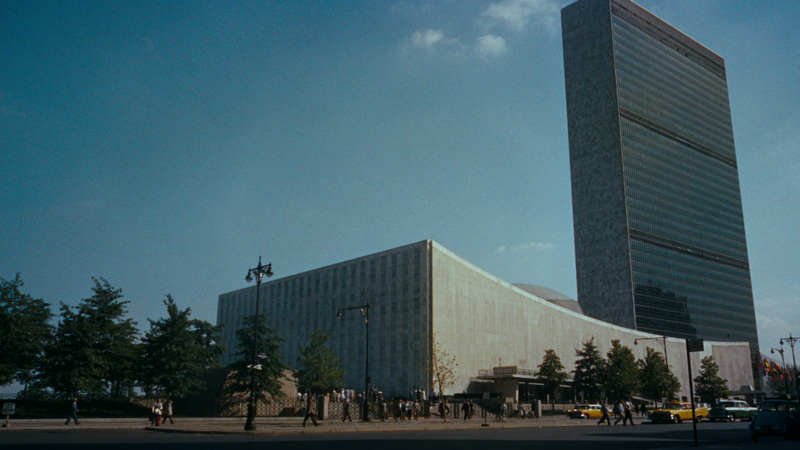 His buildings obliterated the Cartesian grid and marvelously commingled brutalism with the space age aesthetic. 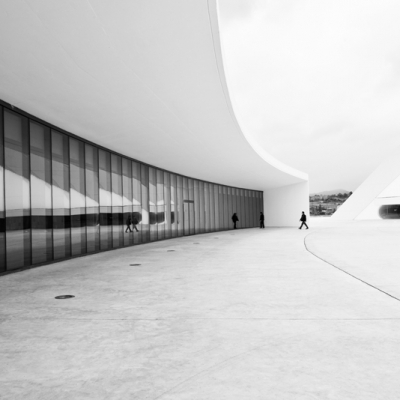 His work is monolithic yet simultaneously manages to be sleek and epicurean. 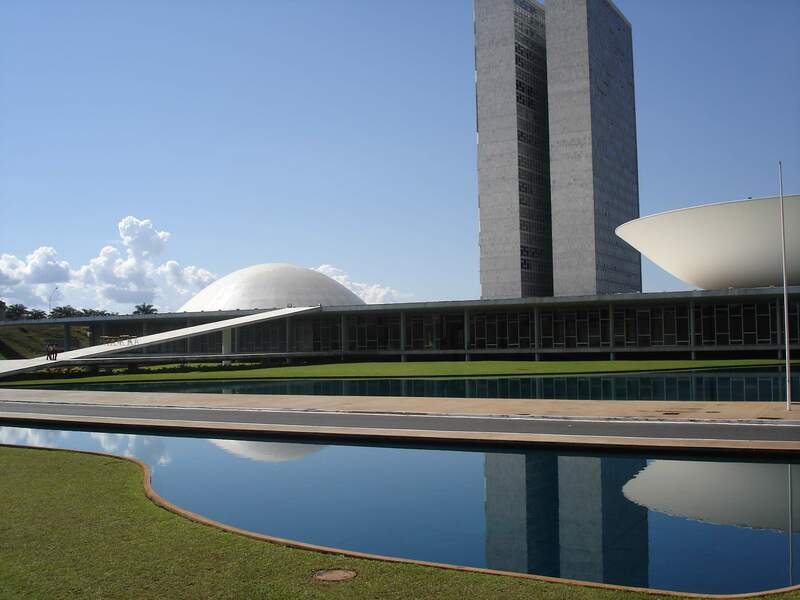 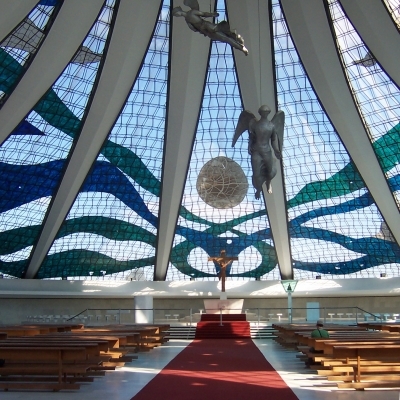 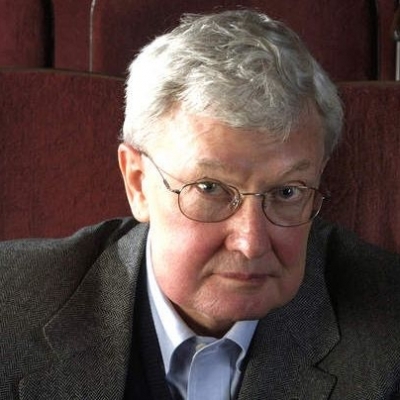 He designed much of Brazil‘s futuristic capital Brasília, like the National Congress of Brazil and the Cathedral of Brasília, as well as Rio de Janeiro’s Sambadrome, where the city’s annual carnival parade is held. 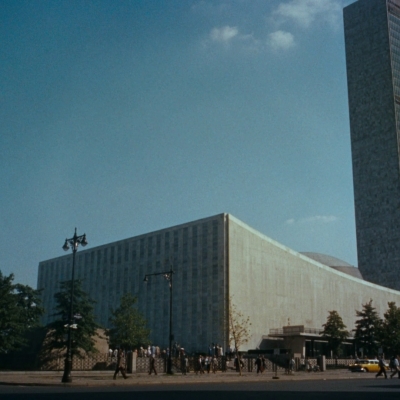 He also had a hand in designing the United Nations Headquarters in the 1940s, as part of a board of consultants, planners and architects. 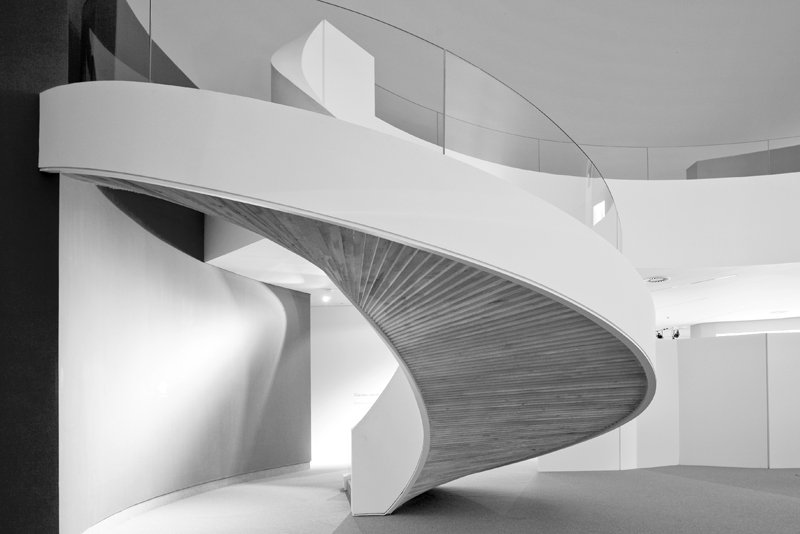 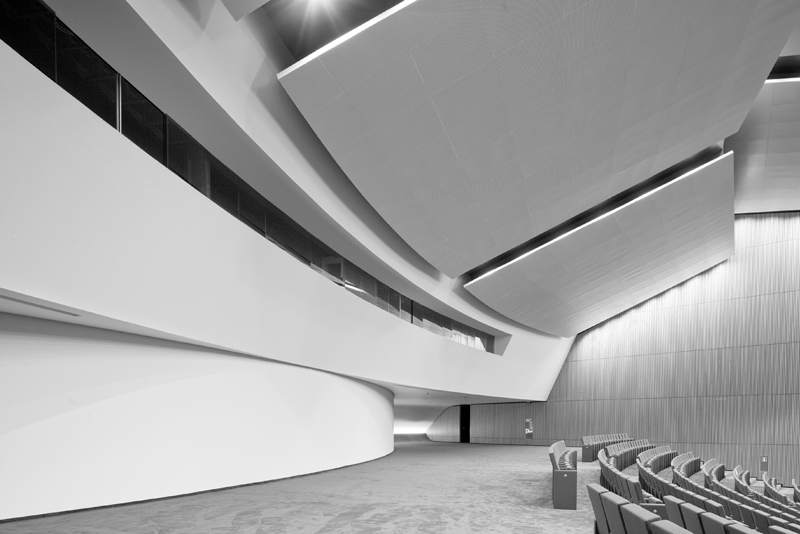 Then there are the disciplined and undulating curves of the French Communist Party building in Paris. 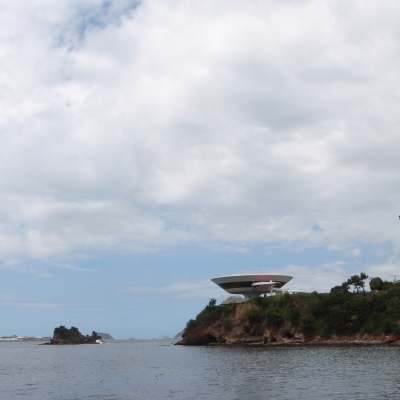 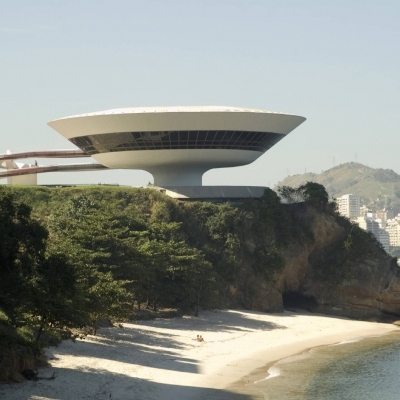 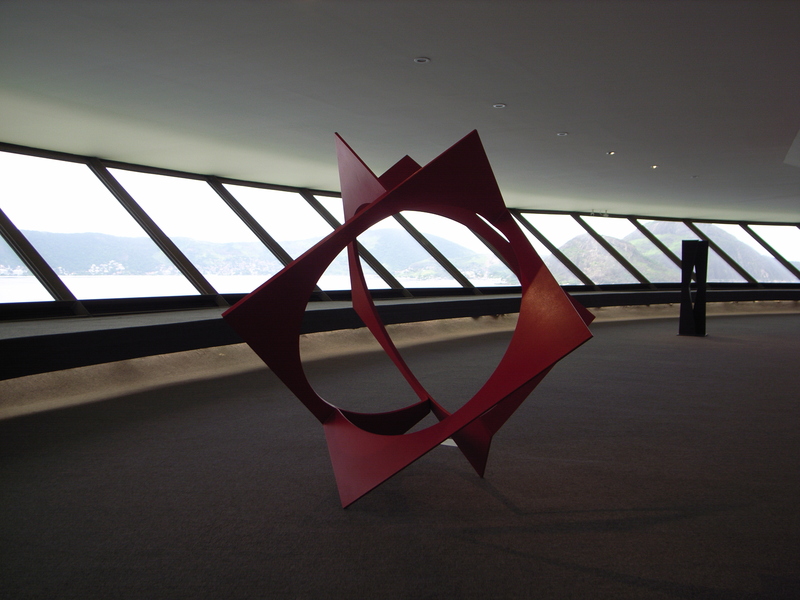 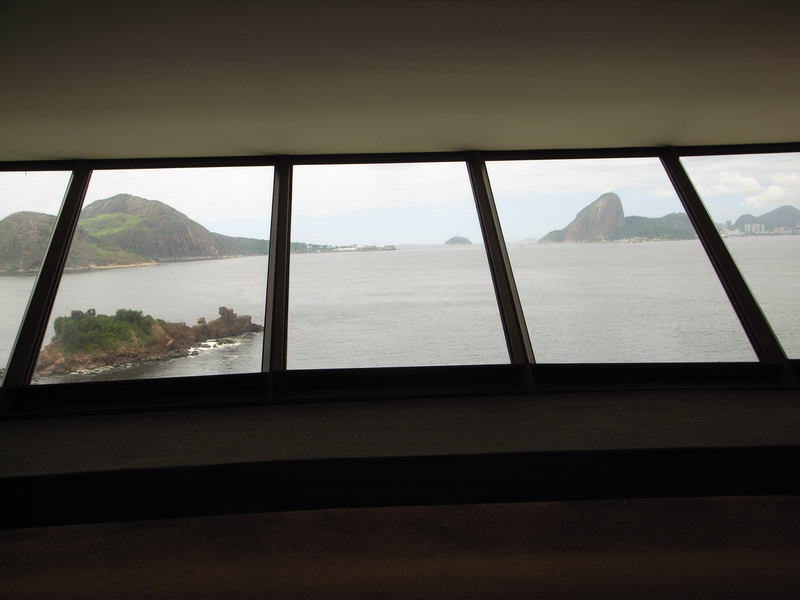 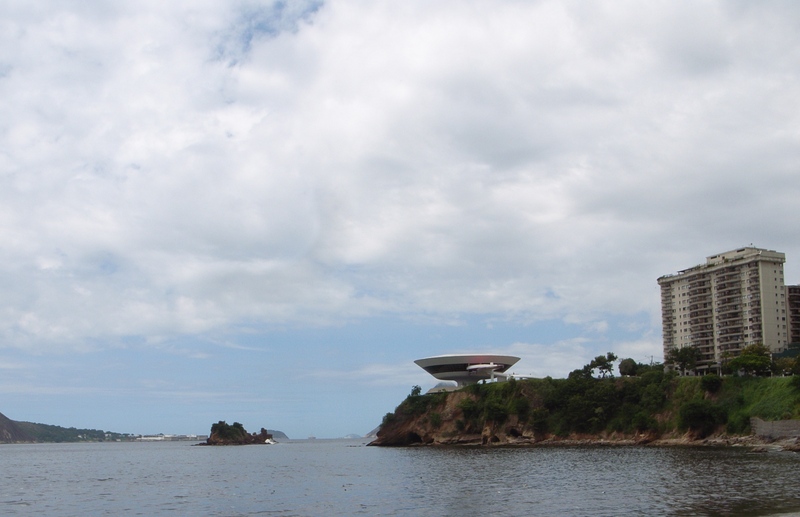 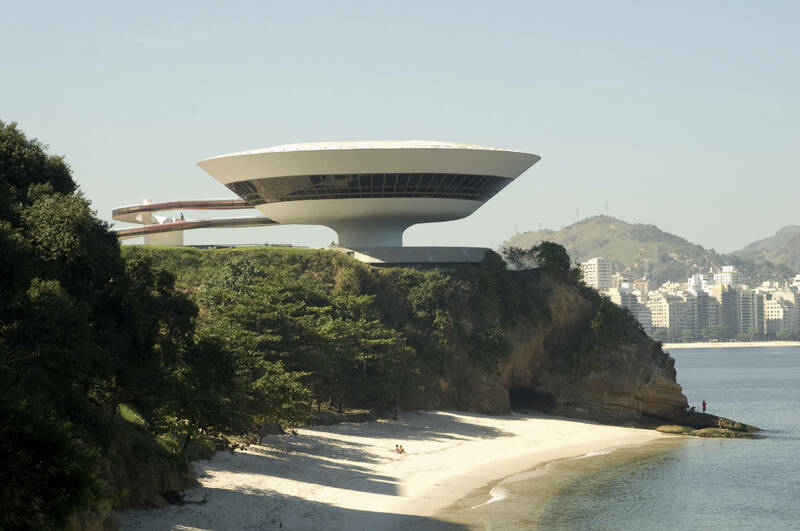 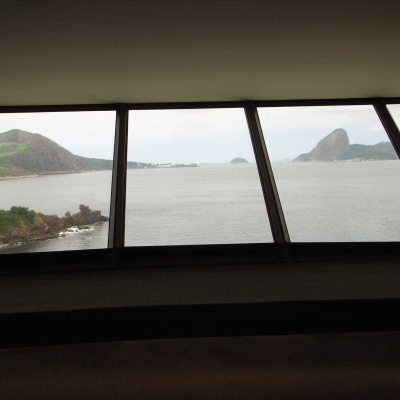 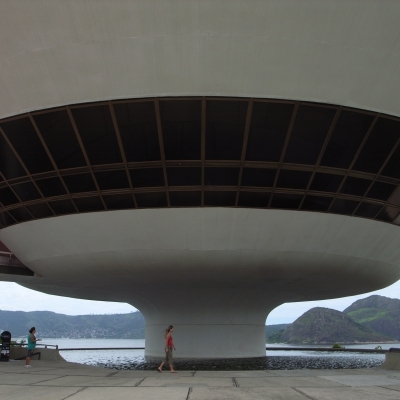 I think his ideal project, one of my favorite structures, is the Niterói Contemporary Art Museum in Rio. An unearthly building, it is something out of James Bond or a science fiction film. 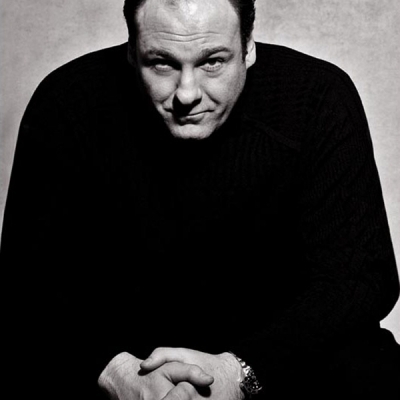 As an architect, this man was one of my favorites. 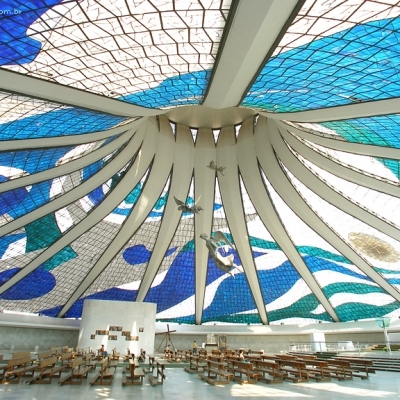 If you are talking about the old modernist guard, for me, he hovers above such luminaries as Eero Saarinen, Ludwig Mies van der Rohe, Bertrand Goldberg, Louis Kahn, Alvar Aalto, Marcel Breuer, and Richard Neutra. 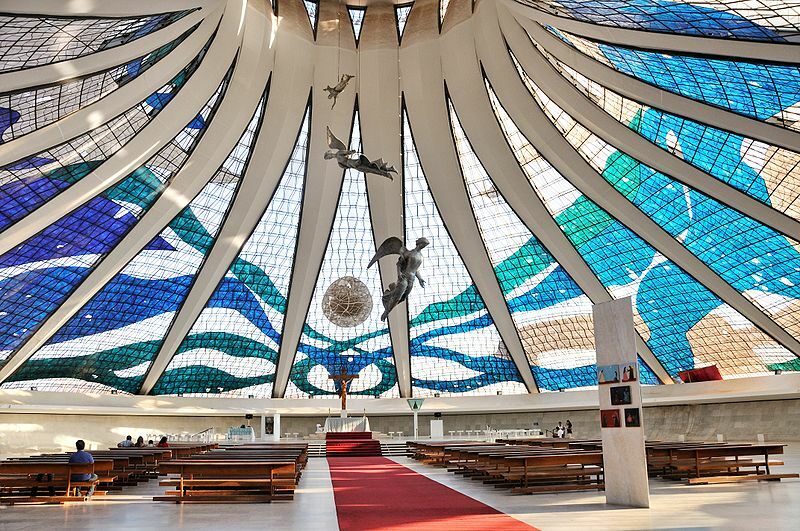 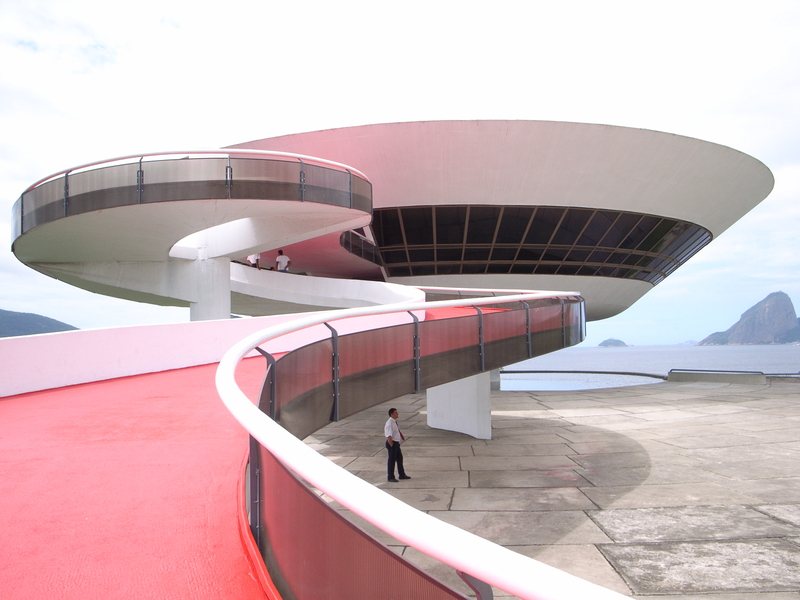 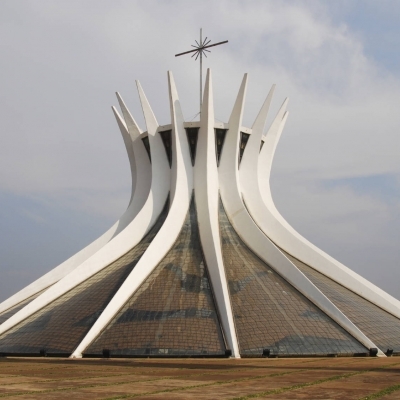 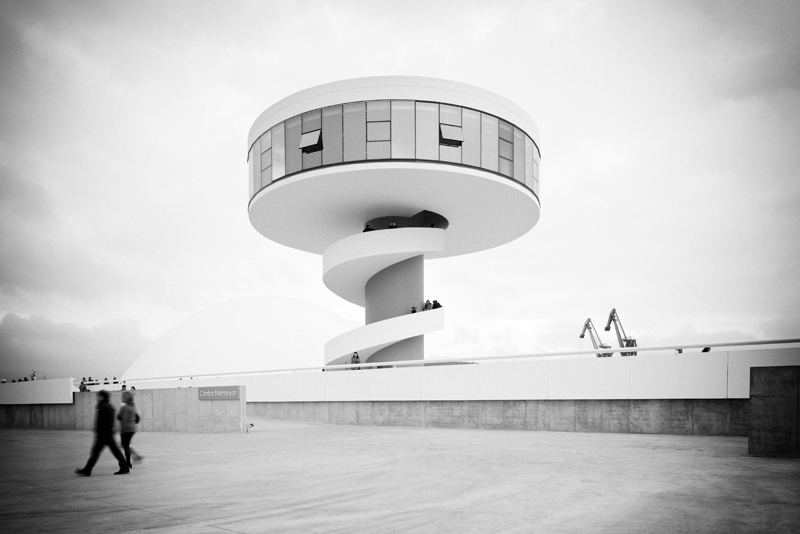 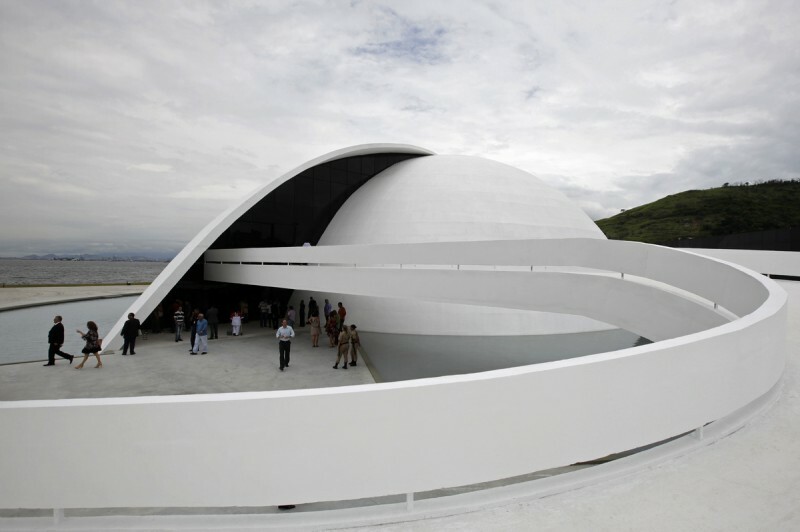 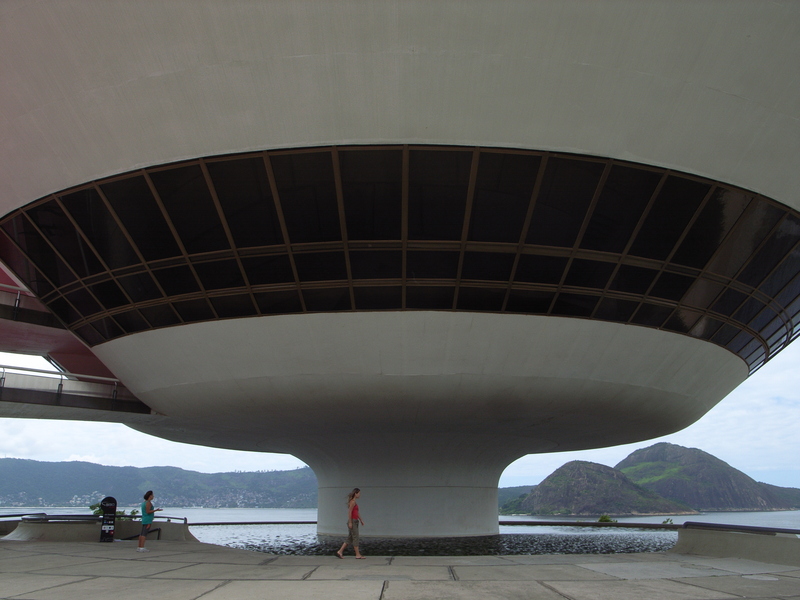 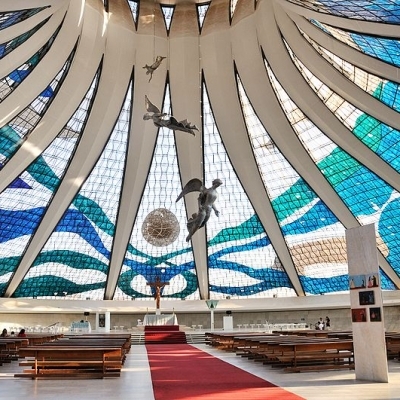 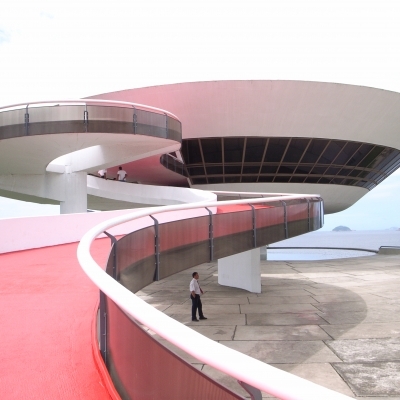 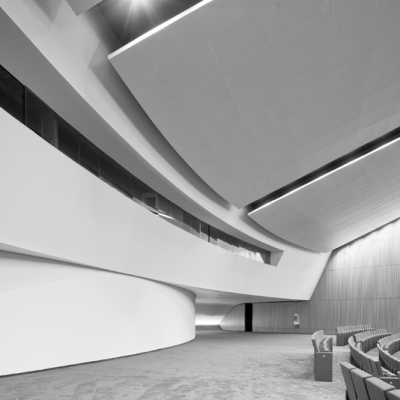 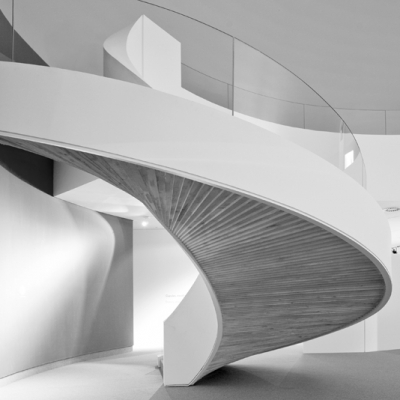 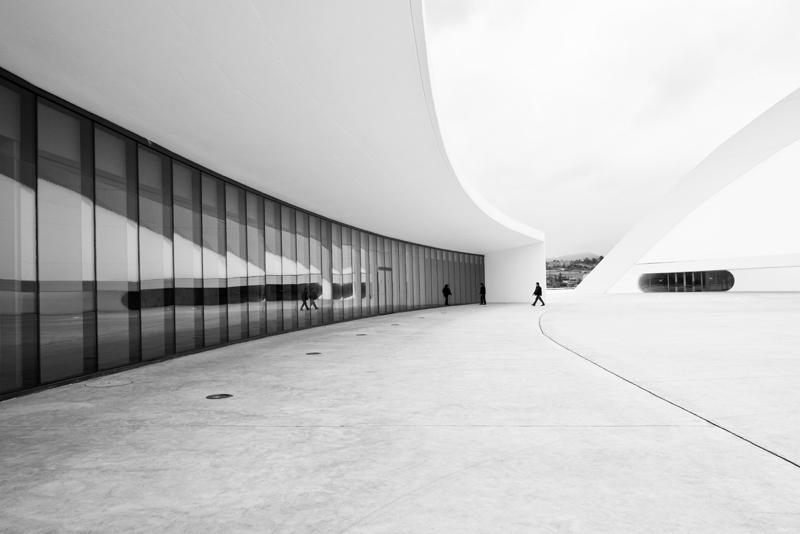 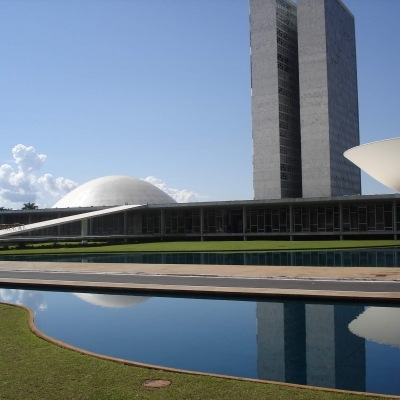 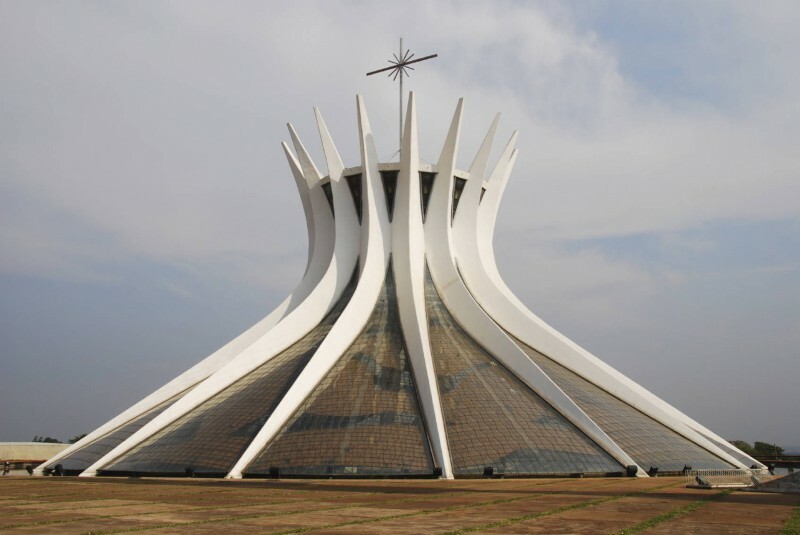 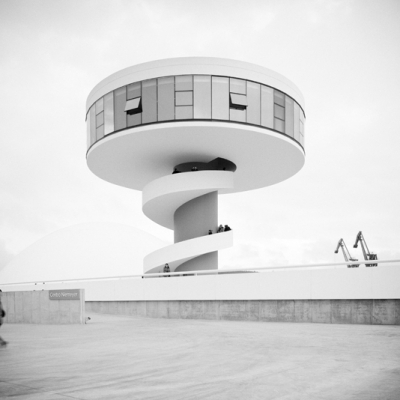 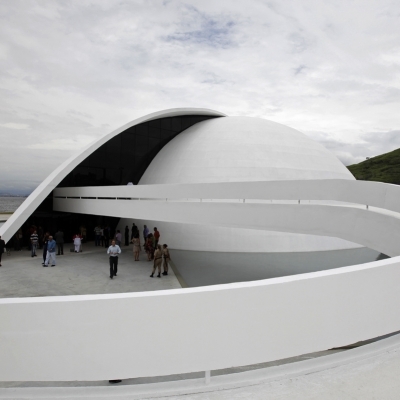 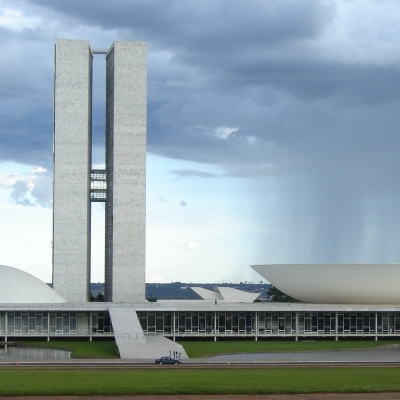 Simply stated, Oscar Niemeyer was a crucial cultural figure who will never be forgotten. 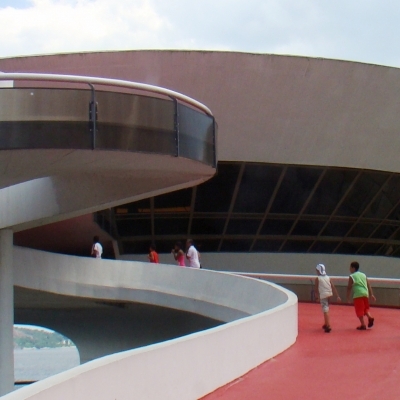 If I may refer to the title of a William S. Burroughs novel, Niemeyer’s buildings are soft machines, a modern project of functional precision within a proto-biological paradigm. 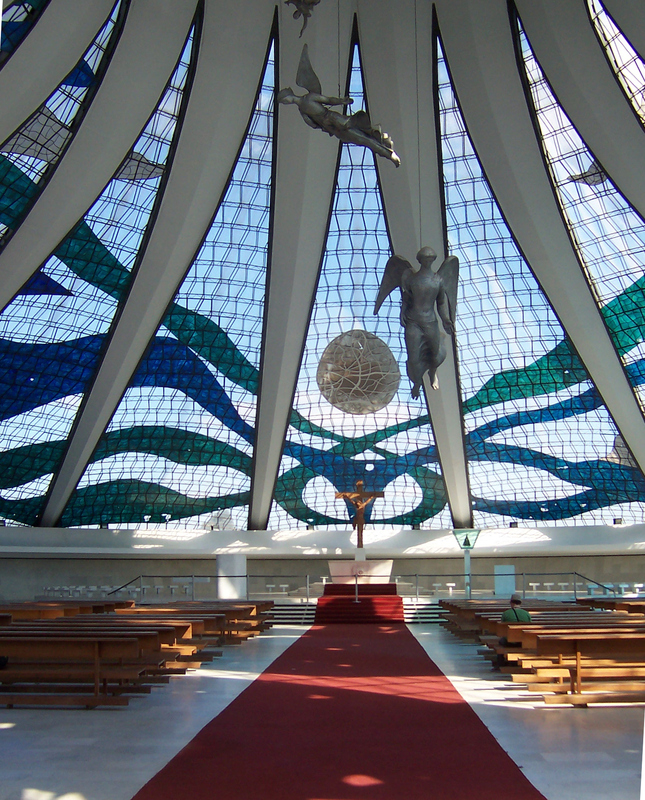 Not simply a softened modernism, Neimeyer has radically expanded the language and interpretation of functionalist methods and religions. 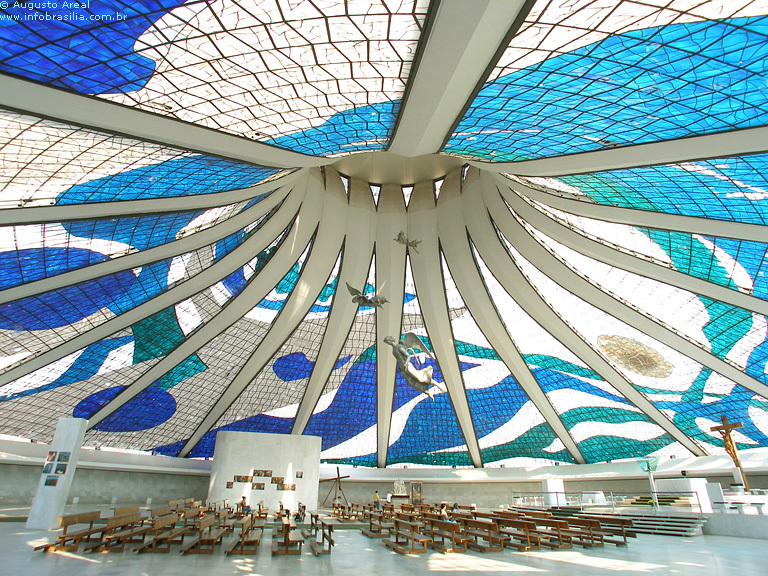 His work has influenced my own as I search for ways to undermine the forces of a mechanical logic (an acceptable discourse of use-value in architecture) in order to more fully incorporate and rewrite provisional rules for various modes of expression including colorization, the development of form that is magically neither free nor limited, and for a graphic resonance in architecture (what I call formagraphics). 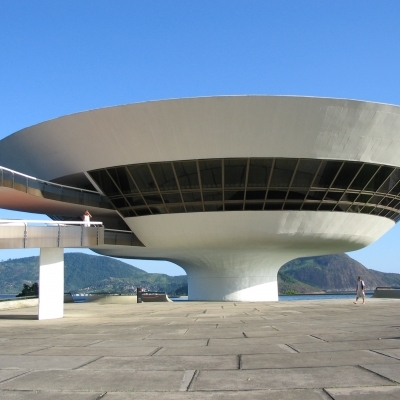 Beoynd the iconic and sublime qualities of Niemeyer’s work lies a forgiving, less intractable force, one that enagages our mind and body, that like Burroughs’ soft machine, has a soul that ultimately defies description. 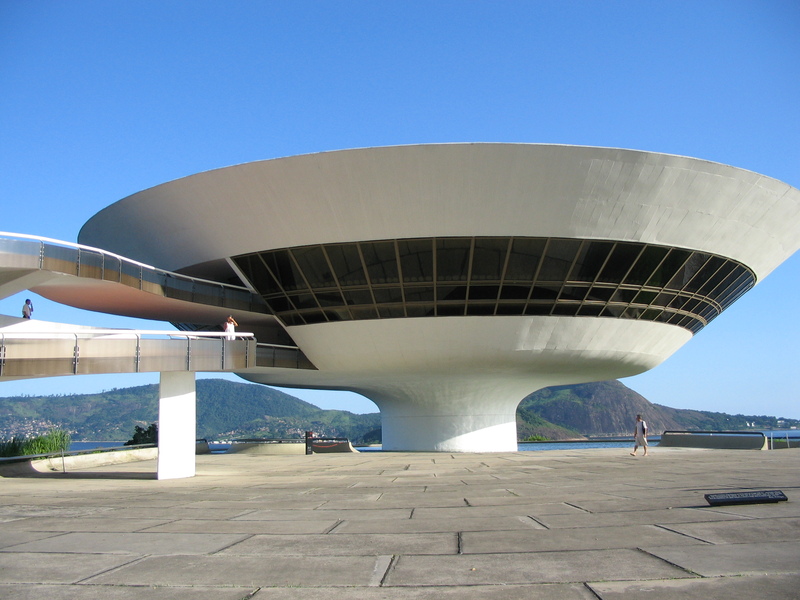 It’s the soul in the material life of architecture that I have found through Niemeyer.